Hi there!! So happy to see you here! 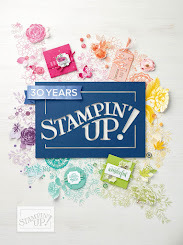 Today is Sunday and that means it's time for Stampin' Up Sunday! In the past I have tried to use only current Stampin' Up products for my Stampin' Up Sunday projects but after I went through all my supplies I discovered that the majority of my supplies are all retired. 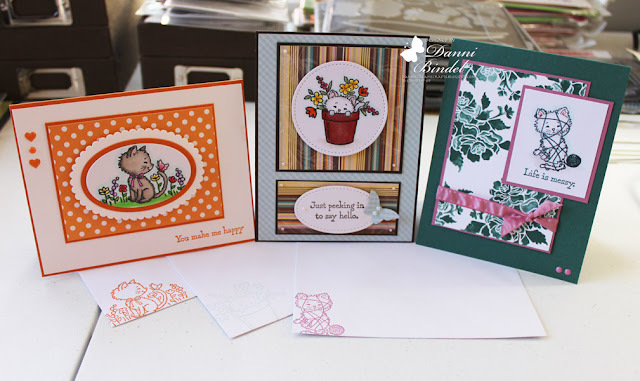 So I decided that my Stampin' Up Sunday's will just focus on a current stamp set. 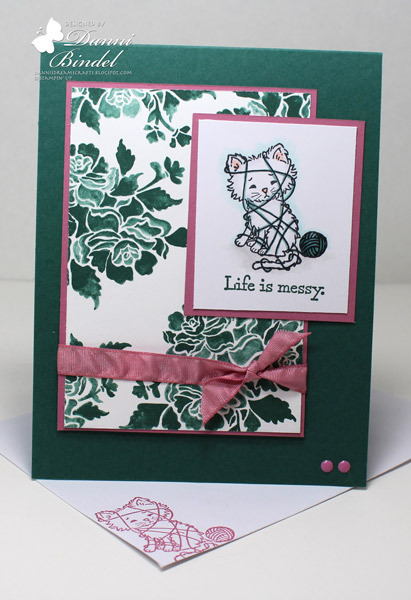 Today I am focusing on the super duper cute Pretty Kitty stamp set. Seriously, A-D-O-R-A-B-L-E!! I used copics for my coloring today but I'm excited that Stampin' Up has just come out with Stampin' Blends which are alcohol markers too! I haven't had a chance to try them yet but I've heard lots of good things about them!! If you're looking for a new coloring medium, why not check them out!! You can read more about them HERE!! I also have a tip to share today! 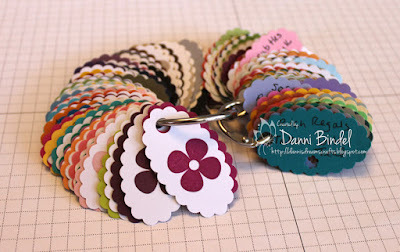 I think I've shared it before but in case I didn't, here's how I have my swatches of ink and cardstock. 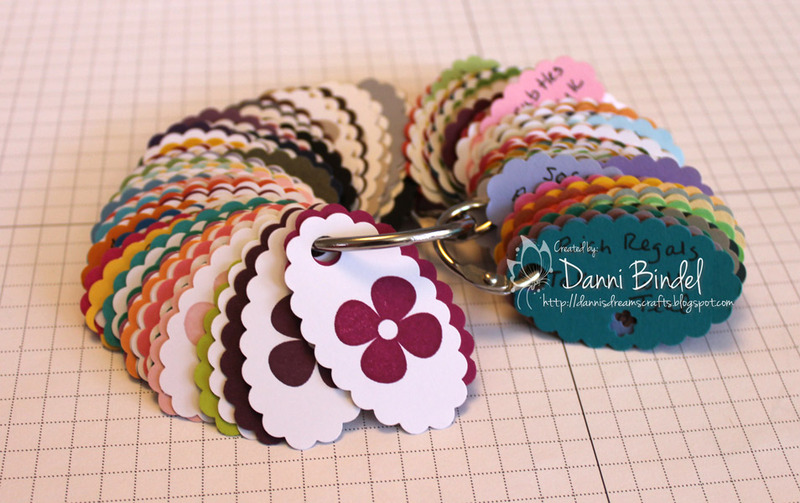 I use a retired scalloped oval punch (you could use any punch or die) and then use a hole punch on one end so I can put it on a ring. I write the color on the swatch. For the inks, I stamp on one side of the whisper white oval and write the name on the opposite side. 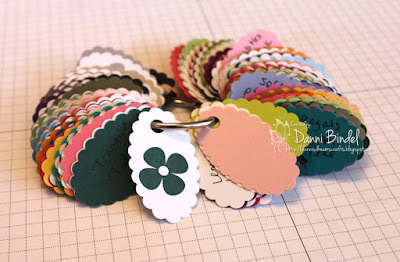 I find this so handy in matching colors or if I am not sure what color cardstock I grabbed! 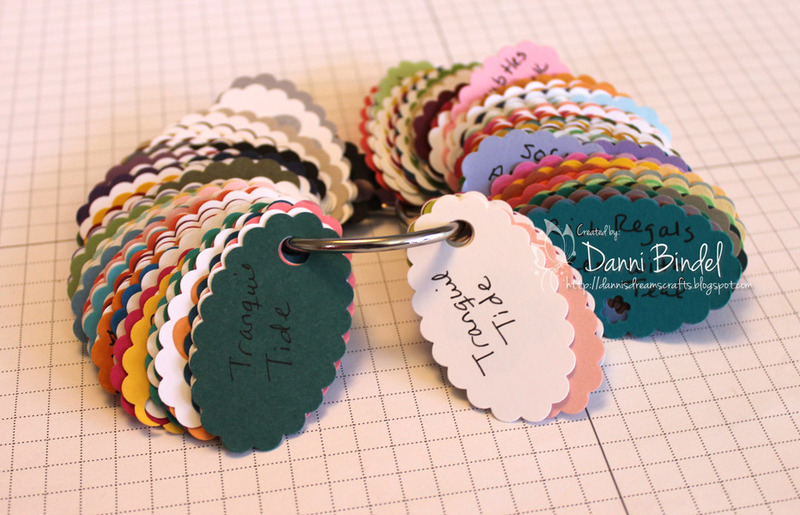 (on mine I have it separated by current, retired and also cardstocks I don't have inks to match). Have the most wonderful day!!! 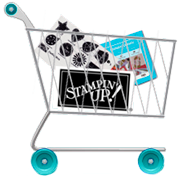 Remember, you can shop for Stampin' Up supplies anytime at my online site! Click HERE and happy shopping!! Danni, these cards are super adorable! I love them.